Sumit Nagal, who is aiming to get his career back on track after a moderate 2018, suffered a 3-6, 4-6 loss to Korea’s eighth seed Duckhee Lee. 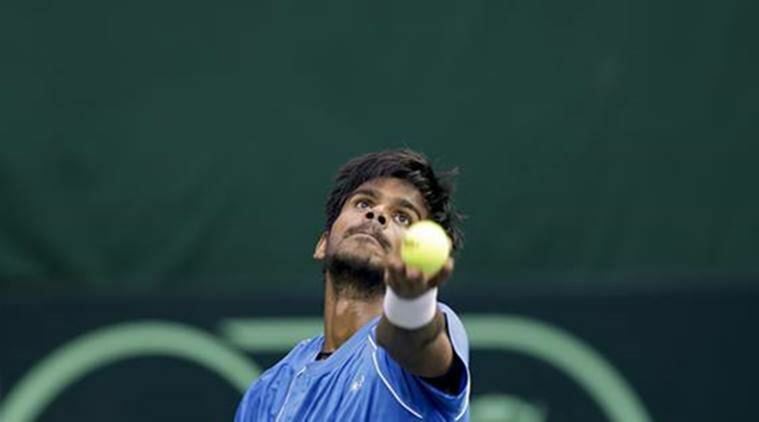 India’s Sasikumar Mukund came up with an impressive performance to outclass his German rival Sebastian Fanselow 6-3, 6-1 in the second round of the Chennai Open ATP Challenger 80 tennis tournament here Tuesday. However, Sumit Nagal, who is aiming to get his career back on track after a moderate 2018, suffered a 3-6, 4-6 loss to Korea’s eighth seed Duckhee Lee. Fanselow struggled but held serve in his opening game. From 2-all, Mukund won 12 of the next 13 points to go ahead 5-2. The German held on to his serve after great difficulty to claw back to 3-5. Results: Men’s singles: Main draw: 1st round (Indians unless specified): Luke Saville (Aus) beat Moez Echargui (Tunisia) 7-6 (9-7), 6-1; Brydan Klein (GBR) beat Manish Sureshkumar 6-2, 6-3; Alexander Zhurbin (Russia) beat Ricardo Ojeda Lara (Spain) 6-2, 6-4; Collin Altamirano (USA) beat Kaito Uesugi (Japan) 1-6, 6-3, 7-6(8); Ian Gakhov (Russia) beat Dayne Kelly (Aus) 7-6, 6-3. Men’s doubles: 1st Round: Sidharth Rawat and Manish Sureshkumar beat Anirudh Chandrasekar and Abhinav Sanjeev Shanmugam 6-7(5), 6-2, 10-5; Gianluca Mager and Andrea Pellegrino (Italy) beat Arjun Kadhe and Saketh Myneni (X3) 7-6(4), 6-3; Matt Reid and Luke Saville (Aus-X1) beat Blake Ellis and Bradley Mousley (Aus) 7-6(4), 6-4.